While the greedy physicians and the cancer industry robber barons have been using every imaginable method for treating the symptoms of cancer, and while millions of people have suffered and died under the most astounding variety of mechanical, chemical, bio-technological and radiological absurdities, little progress in curing cancer has actually been made. And why? Well, to understand why, you would have to understandwho is treating cancer before you can understand why it is not being cured. Who are these cancer physicians who claim to know so much yet fail to do anything useful? But what happens if you don’t take their advice and choose alternative medicine, instead – you know, the choice that the doctors never mention to their patients? Since it has been proven that hospital patients live longer when the doctors go on strike, then alternative medicine is obviously better than a placebo. But they never mention that, either. Secondly, these oncologists with all of their fancy degrees and years of microscopic confusion are really nothing more than disciples of fraud. This fraud is known as “symptomatic medicine”. And these cancer physicians prove their idiocy on a daily basis by classifying cancer as a “disease”. Would it be a joke on them if it was discovered that cancer really is not a disease at all but merely a “symptom” of something else? Hundreds of millions of dying cancer patients would certainly not be laughing. And millions of billionaire Big Pharma swindlers would not be laughing, either. Would it be a joke if it was discovered that cancer is not a disease at all and that these swindling greed-bags were actually mistaking the symptoms for the disease? I don’t think there would be much laughter in finding this to be true; but it is true. And here’s how this simple cure works. The cancer quacks who are known as “modern physicians” (or oncology engineers), all know that there are many things that cause cancer. Does this ring a bell in their mighty brains? No, of course not. If there are many things that cause cancer, then how can cancer be classified as a disease? Isn’t it true, rather, that the many causative agents are the disease while the manifestations of tumors and malignancies are actually the symptom? This may seem strange but think about it a bit. And you alternative practitioners had better think about it a bit since the physicians have already proven that they are on the wrong track and haven’t thought about it enough. Once you remove the primal cause, you are still left with a growing malignancy. (I am referring to the growing tumor and not to the doctors and the Big Pharma executives, themselves.) This cancerous growth has certain attributes that the idiot doctors overlook because they have been trained to use the most expensive methods possible for producing the largest possible profit for themselves and for their hospitals and for their drug suppliers. And after extracting all possible savings accounts, checking accounts, real property and insurance benefits, they send the dying patient home after saying, “We have done everything that we can do.” No, I don’t think many people will be laughing to discover that cancer can be cured with baking soda. But even after the primary cause of the cancer is removed, why do the cancer cells keep growing? The doctors say because cancer is a disease. However, these practitioners of “symptomatic medicine” are mistaking the disease for the symptom. It is more accurate to say that the cancer is not the disease, itself, but is rather the symptom. All cancer has some common denominators that the physicians think are inconsequential. But if you think about it a little bit, you will see that the oncologists are full of themselves and not full of knowledge. What they think is the disease, is actually the symptom. And what they think is inconsequential is actually the tiny, little cause for all of this suffering and disease. It’s a joke on the doctors, but nobody is laughing. Here’s how it works. Normal cells that turn cancerous have specific jobs to do. Brain cells do brainy things, heart cells are on a bungee-jumper’s rush, liver cells strain today’s whiskey, kidney cells strain the beer and save the water, bladder cells hold the nasty stuff that the others strain, and skin cells enjoy a good suntan on a summer day. They all do different jobs. But when they turn cancerous, they throw all of that specialization aside. Cancer cells do not evolve; they devolve. They do not perform the task specified in the blueprints of DNA, but they rebel and go it alone. Cancer cells give up being a high level technical worker in the body and become instead the lowest form of life. Worse than any truant teenager – all they do all day is eat, excrete, reproduce and do it all while holding their breath. While holding their breath? What is this little detail that is overlooked by the oncologists? That’s right. Cancer cells don’t require a lot of oxygen to live. In fact, it is this low oxygen level that allows them to thrive. Or to put it in a way that even a physician can understand: Cancer cells become cancerous not because they are the disease but because they are normal cells reacting to the causative factors of disease. That is, cancer cells become cancer cells because they are normal cells that cannot live in any other way. They are following the First Commandment of Life: “Thou must live”. And in order for them to live, they must give up their specific functions in the body and devolve to a lower level of Life that is not so demanding of them. They become cancer cells in order to survive, not because they want to be cancer cells. From this perspective you can say that cancer is normal. It is not a disease but rather it is the reaction of certain cells in the body to stress factors that cause these cells to choose de-evolution to a cancerous state as a means of cellular survival. They give up being highly advanced cells – brain, heart, liver, kidney, skin, etc. – and take a step downward to a lower function. They become cancerous as a survival strategy because nature only gives them this choice – or they must die. Cancer is the reaction of cells to various factors that will cause their death if they do not devolve to a lower, cancerous state. Of course, the Big Pharma scoundrels and the physicians-for-hire want to “treat” cancer. Yes, they have devised a trillion “treatments” none of which do any good except to their bank accounts. There is a lot of money in “treatments”. You can talk about “treatments” for years. You can offer your customers … I mean, your “patients” … years and years of the latest and greatest of treatments. Treatments! Treatments! Treatments! Forever! And all of this time, while the victims are suffering and dying and giving the hospitals their last pennies in vain, the doctors can avoid ever, ever mentioning that most forbidden word of modern medicine – “cure”. And why? Because if they actually cure anyone of cancer, then they can’t get them back for any more treatments! “Sugar is a cancer-feeder. By cutting off sugar it cuts off one important food supply to the cancer cells. 9. Cancer cell walls have a tough protein covering. By refraining from or eating less meat it frees more enzymes to attack the protein walls of cancer cells and allows the body's killer cells to destroy the cancer cells. “Cancer is a disease of the mind, body, and spirit. A proactive and positive spirit will help the cancer warrior be a survivor. Anger, un-forgiveness and bitterness put the body into a stressful and acidic environment. And this ends the good advice that the Johns Hopkins Hospital tosses out … then forgets entirely about. Although they make some basic errors with their assertions because they don’t really understand natural nutrition, it does contain almost everything that naturopaths of all varieties have been practicing and teaching for many years. But it does not give credit where credit is due. The physicians purloin our knowledge and take it for their own discovery and then they bill their patients for the information that we freely give while pretending to be physicians of great learning. And so, let’s leave these medical maniacs and show how cancer is easily cured with nothing more than baking soda. You will need the above ten points to put the puzzle together. And I will leave you and the physicians to argue about the above data which they have plagiarized without fully understanding. One of the much-overlooked “minor” details of cancer cells is that they thrive in a low oxygen environment. When the body is not able to fully oxygenate, these cells must either die of asphyxiation and toxic build-up or they must devolve to a lower state of existence where they can live and grow without so much oxygen. They become cancerous because there is not enough oxygen for them to remain normally functioning. Oxygen cannot stick to blood cells if the pH of the blood is acidic. And rather than do everything that they can to raise the pH back up to a normal pH of 7.4 so that the blood can function properly, they prefer surgery. All of the advice that they have stolen from naturopathic medicine about “deep breathing” will do them no good at all. You can breath pure oxygen until you catch on fire but if the blood pH is acidic, then the oxygen will not be able to be picked up by the blood cells. It is chemically impossible. The blood must be normal and normal blood has a pH of around 7.4 pH. Any vestigial traces of oxygen that the acid-drenched blood cells manage to pick up are stripped off early by the oxygen-starved cells along the way and never reach the deeper parts of the body where oxygen is most needed. And because the pH is acidic, carbon dioxide also is not transported efficiently and so builds up within the tissues leading both to cell death and to a cell-to-cancer de-evolution for survival. But also do this: Take a pinch of baking soda (sodium bicarbonate) into your mouth, run it around your teeth and gums with your tongue while being sure to reach into the deepest parts of your gums and teeth and swallow it three times a day – more or less depending on how you feel. Also, drink a glass of water containing a teaspoon of baking soda before going to bed each night. But don’t over do this. Baking soda can kill you if you take too much of it. Take just a little bit and see how it makes you feel. If you feel okay, then take some more. Don’t overdo it but don’t be afraid to experiment. After all, the doctors experiment on you every time you go to see them as they “practice medicine”. So, why not experiment on yourself and save the money and the pain. But by all means change your diet to a natural and alkaline diet. And make baking soda a part of that diet. The physicians will charge you a lot of money to take a pH test of your blood, but you can start monitoring the pH, yourself, by purchasing some pH test strips from a pharmacy. Test your tongue pH in the morning as well as your urine pH. Practice some yoga or Tai Chi Chuan or other deep breathing exercises and go on long walks to enjoy fresh air and your days on Earth. As your blood pH moves back up to the alkaline side of the chart, your deep breathing will fully oxygenate your blood. The cancer cells cannot survive all of that fresh oxygen so they die. And your T-killer cells, being full of vigor, will kill the cancer cells that remain. It’s as simple as that. This is not advice that a cancer doctor will give you but it is advice that you can take whether you accept his treatments or not. After all, the normal pH of your blood is 7.4 but if the doctor wants to treat you without regard to what is normal, then maybe you should put yourself in Nature’s hands rather than his. If cancer is normal, then it would be normal for everybody to have cancer. But since it is not normal and since it thrives in situations that are not normal, then doesn’t it make sense to seek the things that are normal so that the cancer just disappears? A physician or oncologist who ignores the pH of your blood and does not know how to make it normal once again, is not qualified to be treating you in any way whatsoever. Avoid such physicians for the idiots that they are. And whoops, oh dear! 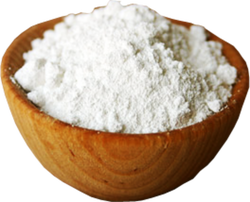 I am afraid that tooth decay is also cured with this simple remedy because baking soda kills decay-causing germs on contact. Will the purveyors of toothbrushes and pastes and drilling and filling and billing be pleased? No, those greedy betrayers and swindlers will not be pleased at all. They want you to be sick. But the sweet, happy smile of good health is the natural state of Mankind. Buy Arm & Hammer Baking Soda OR Bob's Red Mill Aluminum Free Baking Soda. Buy Black Strap molasses OR Organic Maple syrup, Grade B. Buy pH test strips; strips don't run and are easy to use. Litmus paper may also be used along with the strips. Buy a good brand of potassium. Mix 1 teaspoon baking soda & 1 teaspoon molasses/syrup in 1 cup water. Drink this solution once a day for 5 days. Test your pH often; both your saliva and your urine. On day 6, mix 2 teaspoons baking soda & 2 teaspoons molasses/syrup in 1 cup water; drink twice a day. Continue this formula through day 7. On day 8, drink the mixture 3 times a day through day 11. (You may get some diarrhea and feel a little weak. This is expected. But taking potassium daily while on this BAKING SODA CURE should lessen your loss of energy. You should take a high dosage of potassium daily with this cure. On day 9 or 10 of this dosage, you may get night sweats. This is expected. On day 12, if you believe you're cured, you can stop taking the BAKING SODA CURE. But if you think you ever need a "tune-up" for cancer at any time, repeat all the above steps. If you're cancer free, it is advisable to use 2 teaspoons baking soda and only one teaspoon molasses/syrup in 1 cup of water once or twice daily for 7 days: i.e., if you're only trying to raise your pH to the alkaline range of 7.2 - 7.5.
pH Scale, pH Level, pH BalanceWhat does 'body pH' mean? The pH, which is an abbreviation for ‘power of hydrogen’, is a measuring unit of acidity and alkalinity of a solution. It is numerically equal to 7 for neutral solutions, increasing with increasing alkalinity (14 = maximum alkalinity) and decreasing with increasing acidity (0 = maximum acidity). The urine, blood, saliva, digestive juices and the fluids inside and outside the body’s cells each have an optimum pH level, whereby blood pH is the most telling of all. At rest, the normal blood pH of a human being is slightly alkaline, with a pH around 7.4 on the pH scale. Anything above that value is considered alkaline; anything below is described as acidic. Both, in their extremes, are life-threatening for the human body; if the pH value drops below 6.8 or increases above 7.8, the cells of the body cannot function properly anymore and the human will die. How does pH imbalance affect our body? The pH level, the acid-alkaline measurement of our bodies, affects every cell in our body. A constantly imbalanced pH level won’t be tolerated by our internal system as well as our entire metabolic process. Both depend on a healthy alkaline environment through pH balance. By consuming too many unhealthy, acid forming or acidic foods, the growth of harmful bacteria, fungus, yeast and other micro organism is promoted within our body, which may result in obesity (we create fat cells to carry acids away from our vital organs), allergies (the absorption of undigested proteins due to an overly acidic body is a major cause of allergy conditions), fatigue (an over-acidified body produces toxins and weakens the body’s ability to produces enzymes and hormones) and many other unhealthy conditions. How to achieve pH balance? A diet, which consists of a proper acid alkaline balance of foods, will help to transform your body's pH balance from dangerously acidic to healthy (slightly) alkaline. Above that, you should add plenty of alkaline water to your daily diet. A proper alkaline diet suggests taking in at least 80% of alkaline foods, like green vegetables or grasses, and never more than 20% of neutral and acidic foods. Eating green foods, vegetables and alkaline foods will help our internal fluids to achieve a natural pH balance as the acidic environment inside the body will be eliminated. That means, by eating vegetables all day long, or taking sprouted greens dietary supplements, and avoiding acid forming and acidic foods, the body’s pH level will gradually be balanced. When pH balance is achieved, your body will start to restore its overall health. Easily test your pH level at home, e.g. with the pH test stripes of InnerLight. These test stripes have a distinct color change for each half pH unit and work best for testing saliva and urine pH levels. Eating "ACID-FORMING" Foods(or DRUGS) is like putting a BUFFER(filter) in your Brain, that WILL restrict YOUR "Connection" to the God head ("DIVINE ENERGY SOURCE"). Acid Forming (Avoid)asparagus, barley, beans (dried), beechnuts, BEEF, BREAD, buckwheat, BUTTER, cashew nuts, Cereals, CHEESE, chestnuts, Chicken, CHOCOLATE, cider vinegar, clams, cod liver oil, Cottage Cheese, Cornmeal, cottonseed meal, cow peas, crab, cream, EGGS, farina, FISH, FLOUR, frog legs, Halibut, HAM, hazelnuts, hickory nuts, hominy, HONEY, horseradish, Jello, kohlrabi, lamb, lentils, lobster, mackerel, Macaroni, maple syrup, Margarine, MEATS, mussels, Mushrooms, OATS, pasta peanuts, Peas, pecans, pistachios, pomegranate, PORK, prunes, quinces, Rice, rutabagas, Rye, sauerkraut, SALMON, scallops, smelt, smoked herring, sole, spaghetti, SUGAR, syrups, tapioca, turkey, walnuts, WHEAT, wheat germ & WINE.